You hear all kinds of talk about weights making a man "muscle bound," but have you ever seen anyone in that condition? Neither have I, and the truth is I have been seeking a specimen of that malady for quite a few years. Much foolishness have been written concerning the possibility of losing endurance and suppleness by practicing exercises with weights. The idea that bar bell exercise will make anyone slow, stiff and short-winded is one of the most senseless bits of nonsense ever fostered on an unsuspecting public. The average beginner in physical training exercises hasn't any endurance or suppleness to speak of, so it is only sound logic that you cannot remove that which does not exist. The average man can run but a short distance without becoming short-winded, and he is so stiff that he can't perform the most simple and easy bending movements, so he cannot very well lose suppleness from practicing any form of exercise. The average physical culture enthusiast who practices lifting as a hobby and lifts real heavy weights continuously is more supple than the average well-trained acrobat or gymnast, and has a greater amount of really worth-while endurance than the average well-trained athlete in any branch of sport. I don't mean that he is a champion marathon runner, or long distance swimmer of the caliber of George Young or Gertrude Ederle, and like specialists; certainly not, but how many boxers or wrestlers, baseball or football players could turn in worth-while performances in either of the sports just enumerated? 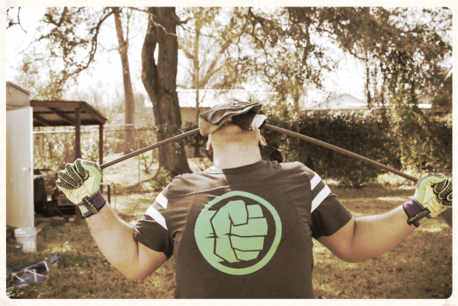 There is no sense or reason in expecting an athlete to beat specialists outside of his own branch of sport. We have never heard of anyone criticizing either Dempsey or Tunney for being unable to beat the champion sprinters or swimmers in their specialties. Nor has anyone spoken of Charley Paddock or Johnny Weismuller being soft because they could not enter the ring on even terms with the heavyweight boxing champion. The champion tennis players are quick and enduring, but you don't expect them to run the hundred yards in less than ten seconds or win marathon championships. And funny as it might seem to say it, Dempsey and Tunney would probably appear "muscle bound" on the tennis court playing opposite Tilden or LaCoste. There is little doubt that the first class tennis players would make any of the champion pugilists or baseball players appear so slow that they would seem to be wearing lead soled shoes. It is doubtful if the pugilist or the ball player would be capable of following the tennis player for more than of a few minutes without becoming short-winded. However, you don't notice the sports writers getting excited about it. The champions in no line of sport are expected to excel in other specialties. 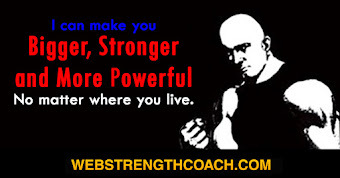 It is all a matter of mastering one thing and excelling in that one specialty, but we feel safe in making the statement that the average weight lifter is a better all-around performer and has a higher average combination of speed, suppleness and endurance than the average specialist in any other line of sport. "You may be curious to know from whence the crazy fallacy emanated, creating a false impression concerning the value of bar bell exercise; as I have promised to enlighten you on the matter, please follow me. Light exercise, calisthenic drills and simple physical culture methods have been taught and practiced in this country for quite a number of years with varying degrees of success and benefit. Years ago, an old school of light exercise 'professors' sprang up and enjoyed a very income by signing up those who had hopes of regaining lost health and acquiring a certain degree of development and strength. These early 'professors' had a big field to work in, and without any periodicals to give out information in those days, the seekers after physical improvement had to enroll in the private courses of the early professionals, there being no other way in which any form of physical development could be attained. Then, within the first few years of the present century, the progressive bar bell was introduced to the physical culture public. Within a few years this scientific method of exercise was enjoying a wonderful success and continued to gain in popularity. Those who had striven in vain to acquire perfect health and development by means of light methods, had discovered a means of bringing their dreams of physical perfection to reality. The light exercise 'professors' became alarmed and sought some way in which to combat the new system that threatened their livelihood. They noticed one fact that could be used as a point in the disfavor of heavy exercise. 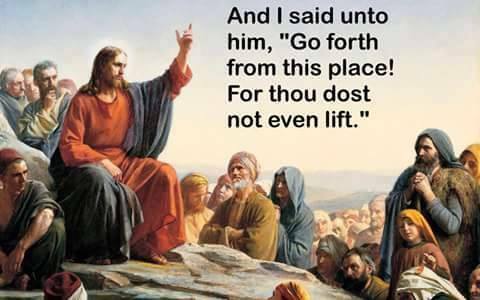 Previous to the introduction of the adjustable bar bell, weight lifters and 'strong men' had performed with big solid dumb bells having thick handles, so that none who were naturally big and strong had any chance to take up the game of lifting as it existed in those days. 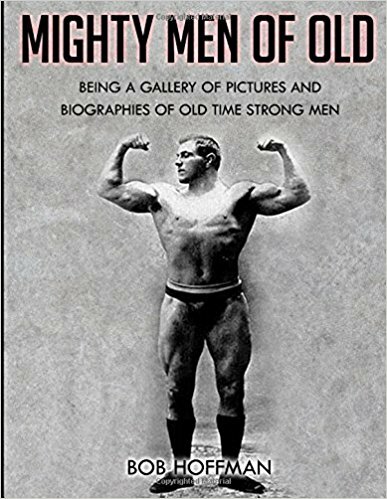 The old time 'strong man' was a beefy man and due to the fact that quick lifts and progressive exercise methods were unknown, he did nothing but slow feats of strength. The light, quick man didn't have a chance in those days of thick-handled solid bells, so no one but big husky men turned to the sport and because they did nothing but slow movements they grew big and fat. "So, here the advocates of light methods thought to throw a scare into the ranks of the ambitious physical culturists and warned them of the danger of becoming slow and awkward if they were so foolish as to take up bar bell exercise. Of course, there was not the slightest mention between the methods employed by the old time professionals and the modern idea of progressive exercise, but there was a hope of discouraging exercise enthusiasts who might be led to try the new system which was proving so popular. The 'muscle bound' bugaboo also, no doubt, started in the same way; as a means of explanation, take the case of any person who is over stout. You will admit they are not, as a rule, very supple or quick in actions, and due to the thickness of their arms, the range of movement is greatly restricted; as many of the old time 'strong men' were big and beefy, and fairly well covered with fat, there is a great possibility that they were not exactly supple, and due to the comparative shortness and thickness of their arms, they no doubt had difficulty in clasping their hands in back of them. There is no reason to say that slow lifting movements with big solid weights made them fat and clumsy, anymore than to suggest such a reason for the build of the average fat man. "Nevertheless, the fact that many old time lifters were of such a build gave the 'knockers' a chance to start the wild fairy tale of the 'muscle bound' goblin. 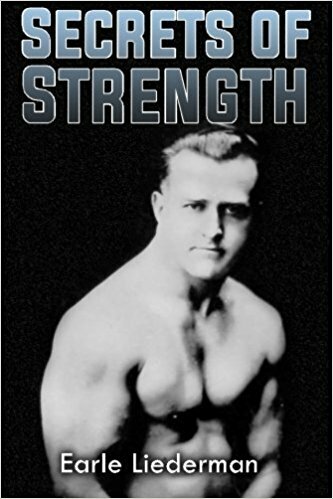 On the other hand, it does not follow that a weight lifter is slow or clumsy simply because he is proportionately huge; for instance, take the case of Karl Moerke, who stands five feet, two inches and weighs around two hundred and twenty pounds; I have seen him move as quickly as any lightweight. And Arthur Giroux might impress you as being 'beefy' standing about five feet, ten inches and weighing close to two hundred and fifty pounds, but I have seen jump on a fast moving trolley as nimbly as any conductor who is daily accustomed to hopping on and off the running board. However, we must consider the fact that these men were trained along modern lines on quick lifts, even though they have accumulated considerable weight in the meantime; I certainly do not consider these men to be possessed of an ideal build, but wish to show that lifters who are far from slender can be quick when trained along the correct lines. I trust my explanation of the origin of the anti-heavy exercise propaganda will help you to see the folly of the idea that progressive resistance exercise is dangerous. To sum up, we find it necessary to put you wise to the silly superstitions which started as nothing more than propaganda." As we might conclude, this "muscle bound" business can be boiled down to muscles trained for one specialty not being so efficient for other movements when compared to a specialist in another line of sport. Imagine how "muscle bound" the pugilist would appear in trying to swim along with Johnny Weismuller or Duke P. Kahanamoku. In the same way the swimmer seems soft and out of condition as compared to the boxer. The tennis player has it all over the boxer for continuous activity, but the racket wielder seems very much undeveloped alongside the man who wears padded mitts. The boxer would also seem foolish in trying to move as quick as a first class lifter moves with a heavy weight. So, why not call a spade a spade, and recognize that fact that athletic specialists must become accustomed to certain kinds of movements, foreign to all other athletics. 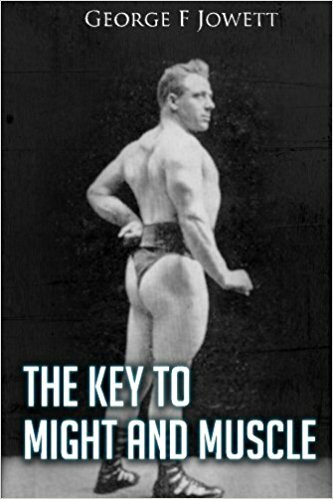 In a practical sense there can be no earthly reason for making a comparison between a boxer and a lifter, any more that there is a sensible reason for comparing the boxer to the swimmer with an idea to claiming the boxer is a poor swimmer because of confining his training to preparation for the ring; and vice versa. The intelligent observer in the field of athletics and physical training realizes that a man excels in the branch of sport for which he properly prepares himself. Proper preparation would imply training along recognized lines for his pet sport, and on the whole specializing in that field alone. If a pugilist were capable of outlifting the fellow who spent most of his time in the practice of weight lifting, you will agree that that latter is a "ham" in his line, and merely wasting his time. In the same way, we would expect the pugilist to be the better man with the gloves. Concerning this point there should be no doubt. However, a lot of other things must be considered. Because on athlete is a better boxer and excels another when boxing gloves are used, by no means proves the boxer to be superior physically in a hand to hand or rough and tumble encounter. There have been numerous instances of professional pugilists of prominence receiving a beating in a street fight by a non-boxer. Furthermore, there is generally a standing challenge by the best wrestlers to meet the leading boxers in a mixed bout. It is quite likely, and we believe it to be true, that the wrestler would get the best of the argument. The boxer is usually not used to rough and tumble tactics of being tossed and flopped around; and he lacks bodyweight in proportion to his height. There can be no doubt as to the wrestler being the stronger physically. He is also likely to be far more enduring, being accustomed to longer periods of active combat. Taking two such athletes, weight for weight, the boxer is more likely to be taller and more slender of physique. As his training is more along the line of speed and quickness, he might find it inconvenient to be grasped by one of his bodyweight who was more squat of build, and possessed of greater strength. For all general purposes outside of the boxing ring, we would say the wrestler and the lifter are both superior to the boxer. It is a matter of general knowledge that wrestlers remain active for a much long period than boxers, and lifters hold their form longer than either. 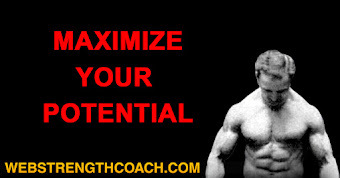 When you get down to the final consideration, the entire question depends upon your physical ambitions. If you are a true physical culturist and worship the physique of perfect proportions, you can have little choice in the matter. Careful consideration will point out the fact of lifting exercises being far superior for developing purposes. However, as many men, especially young men, expect us to compare any example of physical condition with the pugilist, we must have a few remarks to make. If you are thinking of your future life, a subject always referred to when weight lifting is mentioned, we would say it is a pretty poor risk to follow a line of sport wherein the contestants are considered old men before the age of 35. Numerous indeed are the cases of pugilists who have gone insane from the pummeling that they have suffered in the ring. A great number of prominent boxers pass away before the age of thirty, yet the sporting writers of our daily papers take it as a matter of fact, and no attempt is made to draw unusual attention to the fact. Let us, for instance, point to the untimely deaths of Harry Greb, Tiger Flowers, Billy Miske, Jimmy Delaney and Pancho Villa, to mention a few. The danger in the case of boxers, when an operation becomes necessary or sickness overtakes them, is the lack of physical reserve. The body is so weakened by keeping trained down and continual competition that nothing is left for emergencies. Whenever a prominent athlete, boxer or ball player dies, we are accustomed to having many persons ask us why they failed to rally. 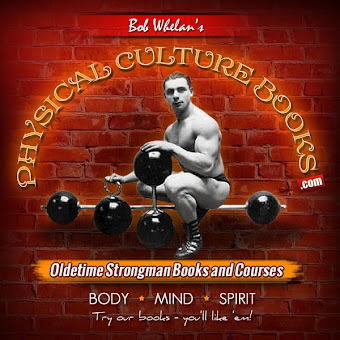 These people fail to realize that we are advocates of body building and the cultivation of manly strength, and we are mainly interested in proving the superiority of bar ball training over the widely accepted methods now in vogue. We are interested in all lines of sport and believe the well-trained athlete should enjoy a healthier and longer life than the average individual; but over-training is so customary among all classes of athletes that many athletes are committing slow suicide. In view of such facts, it makes us wonder why those who boost such sports take delight in knocking bar bell training and lifting, which enjoys a lower rate of mortality than any branch of sport. After all, the real purpose of physical training is to make the average individual more efficient and longer lived. The purpose of physical training certainly is not to see how well a man can be trained to fight for a few short years during his early youth, and to spend the rest of his years regretting the time he has spent at being hammered around the ring. If you think I am stretching things, my reply is that you are unacquainted with the true facts. A little investigation will open your eyes to number of physically broken ex-fighters in our large cities. Sports writers like to joke about the number of ex-fighters who have become mentally softened and like to cut paper dolls. It is neither as funny or exaggerated as it may seem, and instead of being a mean of provoking mirth, it should be cause for consideration by sound-thinking citizens. Personally, I like the sport of boxing or prize fighting, whichever you may chose to call it, and I confess to having looked longingly on honors to be won in the sport, but in reality the game has turned out dozens of bums for every man who became successful. In comparing the professional boxers with bar bell physical culturist, you will do well to consider a few salient facts and decide upon the ambitions uppermost in your mind. If you are set upon becoming a fighter, by all means fight, and be sure to train for fighting. A course of body building exercises with bar bells will give you the strength foundation so necessary in such a rugged sport. On the other hand, if your are mostly interested in attaining a high degree of physical perfection and wish to maintain a high standard of efficiency for a long term of years, you should forget fighting as a business and trained for first class development. I hate to be seen in the light of a knocker, but in view of all the knocks we bar bell followers are accustomed to getting from trainers and "rubbers" in the boxing business, we might as well get down to the truths. The greatest truth in connection with pugilism, for that matter baseball, and all other popular sports, is that they are big financial propositions for everyone concerned. Without tremendous publicity in the daily newspapers, the great crowds could not be drawn into the gates; and without good sized payments being doled out to the sports writers, the publicity could not be maintained. This is all a matter of sound facts, and just recently some of the big metropolitan papers have instituted a new policy in relation to sports. These progressive publications now prohibit the taking of bribes by their sports writers for the boosting of big sporting events. A new policy is also being introduced by some of these papers to give less space to professional sports, in favor of amateur athletics. In time, this up-to-date movement is bound to become universal. And, it won't take many fiascos like the recent Sharkey-Stribling thing to do it. Why, the sporting writers were taken down to Florida from all over the country and put up in swell style; for months the writers had been leading the readers towards the climax, so as to encourage the spending of money of fans in making the trip to see the fight. Eliminate all the exaggerated publicity and boxing and baseball would soon lose their attractiveness. 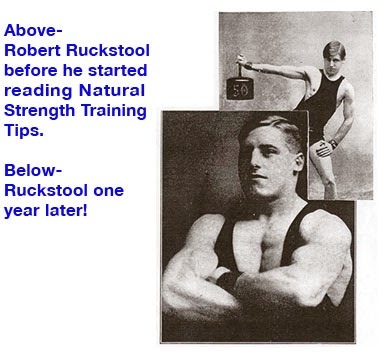 Just now it seems impossible to do the same with weight lifting, but we might recall that Sandow caused quite a stir in this country when he appeared, and Breitbard was pretty widely heralded. The former was capably managed by a man who has since become one of the greatest theatrical managers and producers, and the latter strong man was acclaimed due to being both Polish and Jewish. People of Jewish persuasion especially, will pay money to see a good Jewish athlete and the Polish people are not slow to turn out. Foreign language newspapers gave wide publicity to Breitbart. So you see, it would be possible to stimulate interest in two men as was done in the cases of Sandow and Breitbart, and by using the boxing promoters' method of boosting shows, it would be possible to get a great amount of space in the daily papers devoted to weight lifting. I am not forecasting any such possibilities, but just mention how it might be done. Public opinion would change just as quickly in favor of heavy exercise.